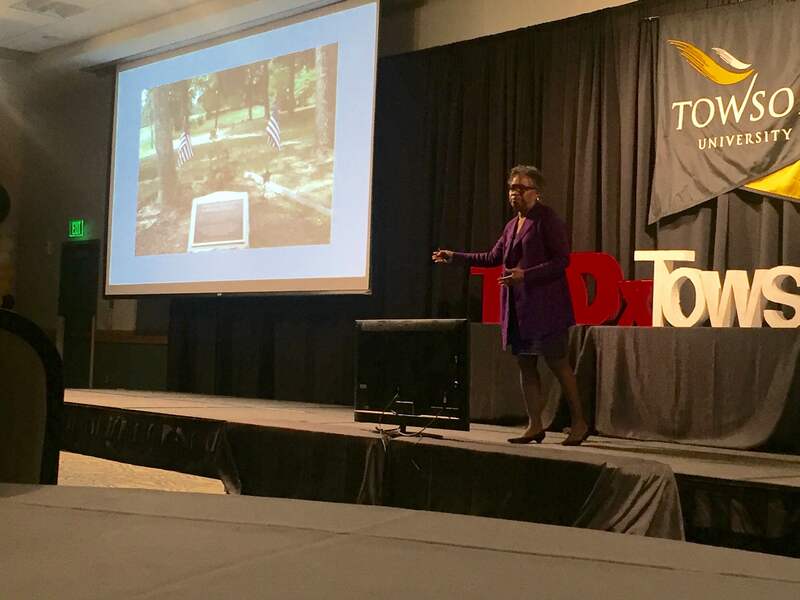 TEDxTowsonU featured eight speakers that discussed a wide variety of subjects, including mental health in minority communities, global biodiversity and linguistic diversity. TED, which stands for “Technology, Entertainment, Design,” is a nonprofit organization devoted to ideas worth spreading, according to its website. The organization has a TEDx initiative that grants free licenses to people around the world to organize TED-style events within their communities. The first speaker was David Teie, founder of Music for Cats, who described his studies to demonstrate responses to music from any species other than humans. His first study tested the effects of species-specific music on cotton-topped tamarin monkeys, and his second study tested its effects on cats. Physics professor James Overduin spoke on the contributions that physics has made to various societal transformations over time, going back in time to describe physics in the information age, the modern age, the industrial revolution and the Enlightenment age. University of Maryland, Baltimore County professor Marc Olano spoke on the stages of 3D development in technology. He specifically cited 3D printing, Virtual Reality and 3D scanning as examples of new products that have become more relevant in recent years. Student activist Breya Johnson spoke about mental health within minority communities, drawing on her own experiences in her speech. Department of Biological Sciences professor John LaPolla spoke about threats to global biodiversity, and said that “life on Earth is in crisis.” He mentioned industrialization, climate change and population growth as a significant factor in threats to nature and to biological collections, but that he has hope the world will become better in the future. According to LaPolla, the 21st century is a “critical century” of change. He said that during this century, it will be important to keep as many species alive into the 22nd century and begin to undo the damage that industrialization has caused. University of Maryland, College Park professor and archaeologist Cheryl LaRoche gave a presentation based on her relationship to the Underground Railroad. She described Harriet Tubman as an especially important figure in American history, and cited the recent decision to place Tubman on the twenty-dollar bill. Sophomore Erin Campbell spoke about the importance of linguistic diversity and about the racial stereotypes surrounding linguistic superiority in communities. She specifically cited African American Vernacular English as a language that often has a lot of stereotypes associated with it. According to Campbell, some people refuse to recognize it as an authentic dialect of English.